Overview - A widowed college professor travels to New York City to attend a conference and finds a young couple, who turn out to be illegal immigrants, living in his apartment. You may not recognize the name Richard Jenkins, but I guarantee you’ll recognize his face. One of the more identifiable isn’t-that-the-guy-from character actors working in Hollywood today, Jenkins has delivered dozens of memorable performances including a recurring role in the award-winning series, “Six Feet Under,” and a hilarious appearance in the latest Coen Brothers comedy, ‘Burn After Reading.’ Still, even he admits he isn’t the sort of A-lister most directors would task with carrying an entire film. Thankfully, fellow character actor Thomas McCarthy (who wrote and directed the tragically overlooked 2003 indie ‘The Station Agent’) shrugged off conventional logic and placed the success of his second film, ‘The Visitor,’ squarely in Jenkins’ hands. 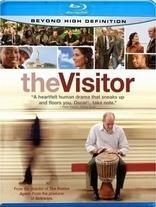 ’The Visitor’ tells the unexpectedly moving story of Walter Vale (Jenkins), a widowed college professor from Connecticut who befriends a pair of illegal immigrants -- an amiable Syrian musician named Tarek (Haaz Sleiman) and a reserved Senegalese craftswoman named Zainab (Danai Jekesai Gurira) -- whom he discovers have been living in his New York City apartment for two months. After spending time with Tarek and taking a personal interest in an African drum called a djembe, Walter is forced to stand by as his new friend is arrested and shuttled off to a detention center. As fate would have it, because Zainab and Tarek’s mother Mouna (Hiam Abbass) is also in the country illegally, the professor is the only person who can visit Tarek in prison. Desperately fighting to win his friend’s freedom, Walter becomes all too familiar with the details of deportation and the heartbreak of a broken family. First, let me address the question many of you are mulling over after reading my synopsis. Yes, ‘The Visitor’ is a political film and, yes, it dwells on a hot-button issue that has sometimes reduced civil debates in this country to heated arguments. However, ‘The Visitor’ doesn’t come bundled with a prepackaged point of view and it rarely, if ever, attacks specific ideas or philosophies about immigration. Instead, it focuses on the human impact and costs. Tarek and his family are anything but freeloaders, economy-sappers, job-robbers, or any other nonsensical blanket-label extremists would love to apply to every illegal immigrant in the US. Tarek, his girlfriend, and his mother are decent, hard working people at the mercy of an ever-changing, post-9/11 regulatory culture that values expediency and efficiency over fairness and morality. They’re victims in the purest sense of the word and we’re given plenty of time to empathize with the reality of their situation long before the inevitable developments of the film’s second and third acts. Even so, it would be a shame to label ‘The Visitor’ an “issue film” since it’s actually about Walter’s journey as a human being. Jenkins crafts his professor into a stoic, wounded widower who loses the only thing that really matters in his life; a man who drifts through his days staring at the moving mouths of everyone around him and wondering if he’ll ever feel anything but loneliness again. As he builds relationships with Tarek, Zainab, and Mouna, he begins to reconnect with things he had abandoned long ago. The beauty of his performance (and to a larger extent, the film itself) is that it never follows the path or the genre clichés you’d expect. All of the elements are there -- Walter and Mouna could easily fall in love and ride off into the sunset, Tarek could simply rely on Walter’s connections to get out of prison, everything could end on a pleasant note -- but, as he did in ‘The Station Agent,’ McCarthy has a knack for writing authentic stories, believable characters, and uncontrived plot developments. For the most part, ‘The Visitor’ progresses exactly as it would if these people were real and these circumstances were pulled straight out of the headlines. Honestly, ’The Visitor’ caught me off guard and quickly earned its place in my top ten films of 2008. I continually expected it to transform into a clichéd romance, a legal procedural, or a political expose, but it simply told a compelling story about a lonely old man whose life is affected by a chance encounter. To their great credit, McCarthy and Jenkins have produced something extraordinarily real, something unexpectedly true, and something inexplicably overwhelming. 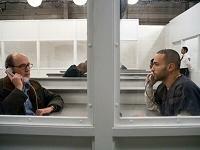 Hopefully, the Academy feels the same way and remembers the name Richard Jenkins come Oscar season. ’The Visitor’ features a subtle, technically proficient 1080p/AVC-encoded transfer that boasts stable colors, natural skintones, and eye-pleasing contrast levels. While the palette itself is often washed out and intentionally drab, primaries still pop in daylit exteriors as well as in key interior spaces like Walter’s apartment. It helps that delineation is fairly revealing, whites aren’t hot or overblown, and the darkest portions of the image are deep and well resolved. More importantly, detail is sharp and striking. The transfer’s realistic textures aren’t hindered by the film’s light grain field, edges are crisp and nicely defined without relying on edge enhancement or other artificial nonsense, and both fine detailing and overall image clarity are much stronger than I anticipated. In fact, compared to the standard DVD, the Blu-ray edition provides noticeable improvements on every front. Granted, some shots are softer than others, but these infrequent mishaps seem to be a product of the original print rather than a technical deficiency of the BD transfer. I also noticed a bit of source noise in a few scenes, but didn’t catch any significant artifacting, crush, or encoding issues. All things considered, ‘The Visitor’ will make a surprisingly strong and attractive addition to your library. Despite the fact that ‘The Visitor’ is a subdued and conversational affair, Anchor Bay’s uncompressed PCM 5.1 surround track is quite impressive. Dialogue is crisp and perfectly prioritized, the LFE channel is aggressive enough to make the djembes sound fantastic, and the entire soundscape demonstrates impeccable naturalism. The mix doesn’t suffer from hissing or pops (a somewhat common problem in quiet indie flicks). Granted, the sonics are anchored to the front channels, but the rear speakers are still used to great effect, creating the acoustic properties of Walter’s apartment, supporting the chilly echoes of the detention center, and enhancing overall immersion. Ultimately, audiophiles won’t be blown away by this particular track, but they won’t have much to complain about either. The Blu-ray edition of ‘The Visitor’ includes all of the special features from its DVD counterpart and presents the video content in standard definition. Unfortunately, the supplemental package is slim, even for an independent film. 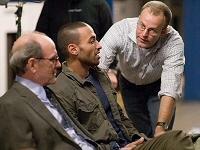 Audio Commentary -- Writer/director Thomas McCarthy and actor Richard Jenkins sit down for a relaxed but informative commentary that covers the shoot, the on-set atmosphere, and McCarthy’s interactions with his cast and crew. Aside from too many silent pauses, the track gives the candid filmmaker the opportunity to talk about the challenges of a smaller film, his limited budget, as well as the research and authenticity they brought to depicting the story’s locales. The only real downside is that Jenkins is largely quiet during most of the track. I really hoped he would have more to say about the manner in which he portrayed his character. Ah well, this is a solid commentary nonetheless. An Inside Look (SD, 5 minutes) -- An all-too-brief EPK that presents segmented interviews with key members of the cast and crew. There isn’t anything incredibly special here, but I got the feeling it could have been far more interesting had it been given room to breathe. Deleted Scenes (SD, 5 minutes) -- Four fairly inconsequential deletions are accompanied by optional commentary from McCarthy and Jenkins. Aside from a few decent character beats, each cut was a wise one. Playing the Djembe (SD, 8 minutes) -- Better than the behind-the-scenes featurette, this mini-doc focuses on the African drum used in the film as well as the techniques a skilled musician relies on to play one. Led by a powerful and authentic performance from Richard Jenkins, ‘The Visitor’ is an extraordinarily subtle film that accomplishes everything a weighty drama should -- to move us, make us think, and force us to face and evaluate our own humanity. 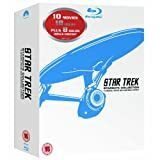 The Blu-ray edition doesn’t hit with the same impact as the film itself, but it still delivers a technically proficient package that features an excellent video transfer, a faithful uncompressed audio track, and a few decent supplements. It certainly isn’t the strongest disc on my shelf, but the film itself will stick with me for a long time.